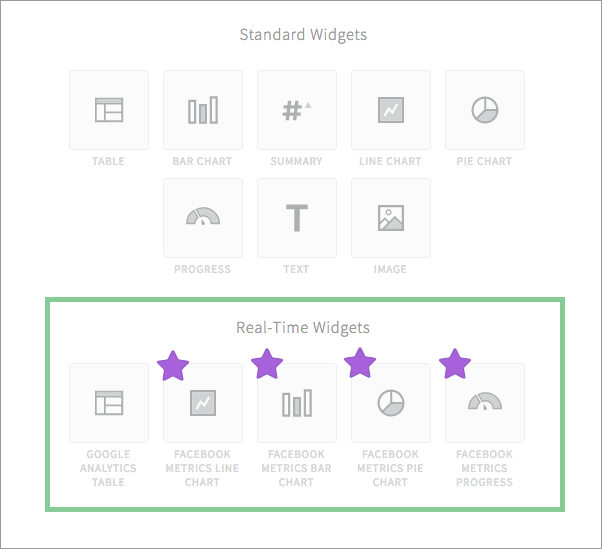 We rolled out Real-time Facebook Native widgets, Group Tables by Day, Week, or Month, Ad Level Charts and more! We’re kicking off February with some pretty awesome product announcements. 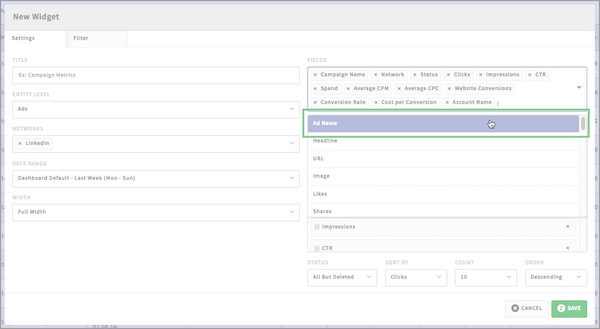 We rolled out a ton of features to help you get to the exact data you care about with improved campaign, ad group, and ad level filtering, new Real-Time Facebook Native widgets, a simple way to transform ad level data into beautiful reports, and more! Read up on all the latest and greatest February releases below👇. New Real-Time Facebook Native Widgets! 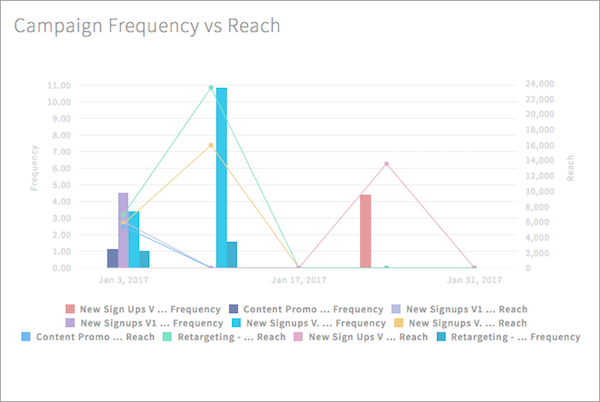 Now you can create bar charts, line charts, pie charts, and progress widgets for your Facebook campaign data using breakout metrics like Frequency, Reach, Device, Region and more. Compare objectives like engagement, video views, CTR, and web conversions by segments like Age and Gender, Country, Device, Placement, etc. Where can you find Real-Time Facebook Widgets? What are Standard Widgets in Report? What is are Real-Time Widgets in Report? We know how important it is to filter metrics down to the account, campaigns, ad set/ad groups, and ads when reporting on performance. That’s why we added a filter option on a separate tab, so you could drill down into those specific reporting views. Thanks to user feedback, we realized it would be even more helpful to offer filtering during the initial report widget creation to perfect your views faster. Break out any of your bar/line graphs into a performance table which can be segmented further by the day, week or month. 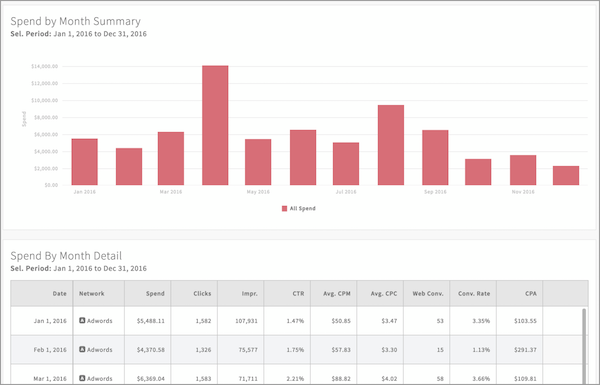 For example, let’s say you have a Spend by Month Summary bar graph, you can now view the campaigns that make up that bar graph with more detailed data available in the tables grouped by day, week, month. 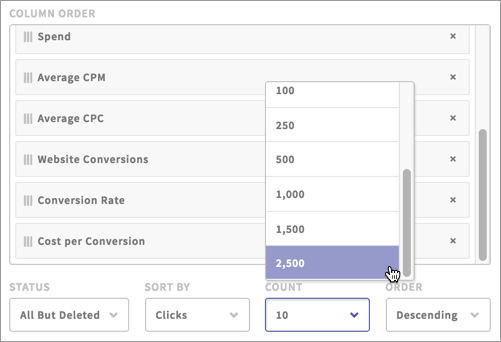 To give you more flexibility when diving into your campaigns, we’ve bumped the table row limit from 100 to 2500 rows of data supported today! We now support reporting down to ad level on all Report widgets. See how much an ad contributes to their goal in a pie chart. We added LinkedIn Ad Name support for Direct Sponsored Content. You can now find the ad names as an available column for LinkedIn tables. When creating your Table, simply select 'Ad Name' as one of your fields. Have questions or feedback about the newest features? We always love hearing from you! Drop us a line at support@adstage.io. Sign Up for Our Weekly Webinars to Learn AdStage like a Pro! Save your seat for our free weekly training session 😍 ! 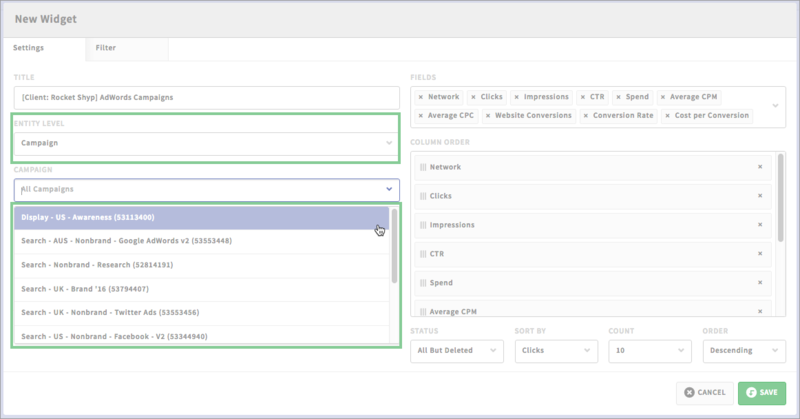 Get the latest product updates, best practices, and tips to get the most from your PPC reports.